Each summer, Oxford University Press USA and Bryant Park in New York City partner for their summer reading series Word for Word Book Club. The Bryant Park Reading Room offers free copies of book club selections while supply lasts, compliments of Oxford University Press, and guest speakers lead the group in discussion. On Tuesday 24 June 2014, Maura Kelly, author of Much Ado About Loving, leads a discussion on Charles Dickens’ Great Expectations. Great Expectations is arguably Charles Dickens’s finest novel – it has a more cogent, concise plot and a more authentic narrator than the other contender for that title, the sprawling masterpiece Bleak House. It may also enjoy another special distinction – Best Title for Any Novel Ever. Certainly, it might have served as the name for any of Dickens’s other novels, as the critic G. K. Chesterson has noted before me. “All of his books are full of an airy and yet ardent expectation of everything … of the next event, of the next ecstasy; of the next fulfillment of any eager human fancy,” wrote Chesterson. What’s more, it might have been used for a number of the best novels written by any author – American novels in particular. Think of The Great Gatsby, Absalom, Absalom, Invisible Man, or Revolutionary Road. The same goes for Saul Bellow’s short tour de force, Seize the Day, or that of Henry James, The Beast in the Jungle. But think too of Balzac’s novel Lost Illusions, nearly a synonym for Dickens’s phrase, or another French book, Madame Bovary. Think of all the works of Jane Austen, with the various expectations that so many characters in every one of her books have about who should marry whom. And on and on. But think too of most life stories, most personal narratives: Might they not also be called Great Expectations? For what are our lives but our attempts to realize our dreams about what we might become, and to either castigate or console ourselves if we don’t? In Pip, the hero of Great Expectations, we have a character who is something of a combination of a Gatsby and an Austen heroine. He is fixated on attaining romantic union that will, he believes, quiet his persistent feelings of self-loathing and inadequacy; he is also all too painfully aware that he is not of the right class to attract that person. As a youth, Pip feverishly hopes that he will miraculously come into money so that he might win the heart of his Daisy – the beautiful, haughty, wealthy Estella. If Pip were a character living in America, he might have done more than dream about getting rich quick – he might have gone the Gatsby route, or the route of any number of Horatio Alger protagonists. However, living in England as he does – where for centuries, people were either born into the aristocracy or they weren’t – Pip doesn’t do much more than fantasize. Nonetheless, thanks to the magic of Dickens’s narrative, through a turn of fate that seems quite plausible in the world of the novel, into money Pip does mysteriously come. And yet, despite his newfound wealth and status, he can’t “get the girl” – the girl who is not simply the person with the power to cure Pip of his terrible sickness of the soul, but the very same girl who inflicted him with that psychological malady when she disdained Pip as a child, calling him “coarse” and “common” and generally making it clear that she thought him beneath her. One more story that might have been called Great Expectations is that of Elliot Rodger, the young man with a BMW, a closet full not of silk shirts but Armani sweaters, and a trove of guns who killed six college students during a shooting spree in California a couple of weeks ago. Judging from the manifesto he left behind, he did not get the girls; he was scorned by beautiful women; his life had fallen woefully short of his expectations. Who can say just how that troubled young man developed his expectations, but he was what you might call a spawn by Hollywood; his parents met on a movie set, after all. And if there is any city in the world that might be called the city of Great Expectations, Los Angeles has to be it, where the world’s most visible examples of glamorous, glittering success serve as foils to some of the most desperate characters around – the red-eyed and unhinged hopefuls who have been hanging around for years or decades, hoping for the big break that never comes. Rodger’s father seems to have had experiences on both ends of the success spectrum: Though he directed some extra shots for “The Hunger Games,” he also spent $200,000 of his own money on a documentary that sold only a “handful of tickets,” according to The New York Times. Rodger seems to have resented his father: “If only my failure of a father had made better decisions with his directing career instead wasting his money on that stupid documentary,” he wrote. And Pip, too, resents his multiple father figures – at first, at least. But unlike Rodger, Pip works through his resentment, and in doing so, finds his redemption. When Pip’s biological father dies, he is adopted by his sister’s humble husband, the kindly if simple blacksmith Joe Gargery. Though Joe serves as the main source of comfort, happiness, and stability in Pip’s young life, when Estella infects Pip with shame, he becomes ashamed of Joe, too; thinking him too much a country bumpkin, Pip distances himself from Joe. He reacts in a similar way to the other father figure of the novel, Abel Magwitch. A good-hearted criminal, Magwitch bestows an honest fortune on the adult Pip out of gratitude for some help that a frightened young Pip had given him during an escape attempt he made years ago. Pip more or less recoils in horror when Magwitch explains that he’s the one who’s been funding Pip’s life as a gentleman. But Pip eventually pushes his through his feelings of mortification and revulsion in order to do the right thing. He repays Magwitch’s loving kindness with some loving kindness of his own, by helping the old convict attempt to evade capture after he returns to England despite threat of death, because he so much wants to see Pip. Pip’s overcoming his lesser self in this way “is not a simple recovery from snobbery, but courage of a rare and fine kind,” according to critic A. E. Dyson. Scholar Sylvere Monod writes that the only reason Pip is able to propel himself to such courage is because he has been on a “groping quest … for the truth, not only about the world and the society among which he lives, but also, and more importantly, about himself.” That quest is what allows him to come to a greater acceptance of both himself, at the end of the novel, and his two adoptive fathers – men who, for all their lack of societal cache, have always done for Pip something that neither Estella nor Pip himself were able to: love Pip more or less unconditionally. “Poor, miserable, fellow creature” : it is a phrase often repeated by humble Joe Gargery, and it helps to point to the lessons about empathy and acceptance that Pip must learn. While it likely would not have been possible for someone like Elliot Rodger to have derived much from Great Expectations, plenty of other readers – like this one – can continue to rely on it as a source of wisdom and comfort, as an inspiration for humility and a font of hilarity, as we grapple with our own feelings of doubt and worthlessness, with the disparity between our own great expectations and the disappointing realities of our lives. 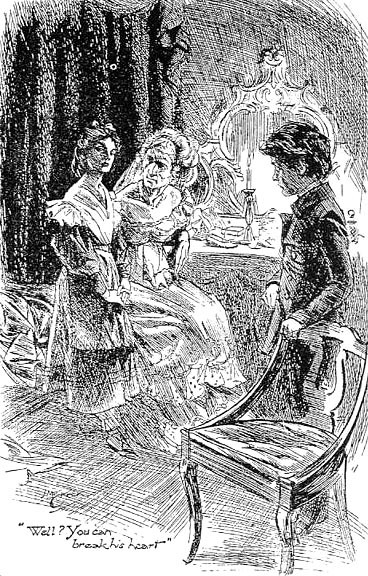 “This is the Dickens novel the mature and exigent are now likely to re-read most often and to find more and more in each time,” wrote British literary critic Q. D. Leavis in 1970, “perhaps because it seems to have more relevance outside its own age than any other of Dickens’s creative work.” That is as true now as it was when Great Expectations first appeared in serial form in 1860. Maura Kelly writes personal essays, profiles and op-eds. Her new book, Much Ado About Loving: What Our Favorite Novels Can Teach You About Date Expectations, Not-So-Great Gatsbys and Love in the Time of Internet Personals, is a hybrid of memoir, lit crit and advice column. She graduated from Dartmouth College and received her MFA in fiction writing from George Mason University. She started her career with jobs at The Washington Post and Slate. She has been a staff writer for Glamour, a daily dating blogger for Marie Claire and a relationships columnist for amNew York. Her writing has appeared in The New York Times, The Daily Beast, The Daily, The New York Observer, Salon, The Guardian, The Boston Globe Magazine, Rolling Stone, More and other publications and anthologies. For over 100 years Oxford World’s Classics has made available the broadest spectrum of literature from around the globe. Each affordable volume reflects Oxford’s commitment to scholarship, providing the most accurate text plus a wealth of other valuable features, including expert introductions by leading authorities, voluminous notes to clarify the text, up-to-date bibliographies for further study, and much more. You can follow Oxford World’s Classics on Twitter and Facebook. Read previous interviews with Word for Word Book Club guest speakers.